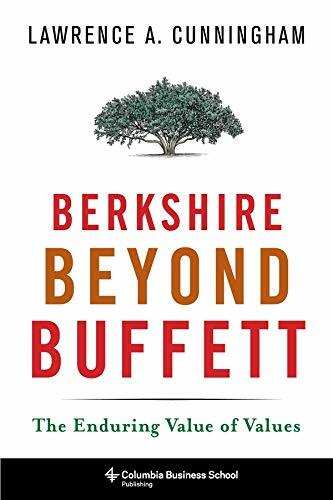 [PDF] Berkshire Beyond Buffett: The Enduring Value of Values (Columbia Business School Publishing) | Free eBooks Download - EBOOKEE! Description: Larry Cunningham's new book tells why Berkshire Hathaway will endure as a prosperous company far beyond the Warren Buffett era. First of all, its businesses have been carefully picked for their competitive advantages, their "moats," their "barriers to entry." For example, it would be hard to buy or build a railroad to compete with Berkshire's Burlington Northern. Mostly Berkshire will endure, says Cunningham, because of its culture of integrity, trust, and thrift. Managers and employees at Berkshire's many operations have long ago bought into the idea that the company is permanent and that its values bolster its worth. Cunningham quotes Buffett as saying, "The special Berkshire culture is deeply ingrained throughout our subsidiaries and all these operations won't miss a beat when i die." It's a terrific book. No comments for "[PDF] Berkshire Beyond Buffett: The Enduring Value of Values (Columbia Business School Publishing)".